I just got a SanDisk Extreme USB 3.0 UFD. Installed the latest USB 3.0 drivers for my mobo. 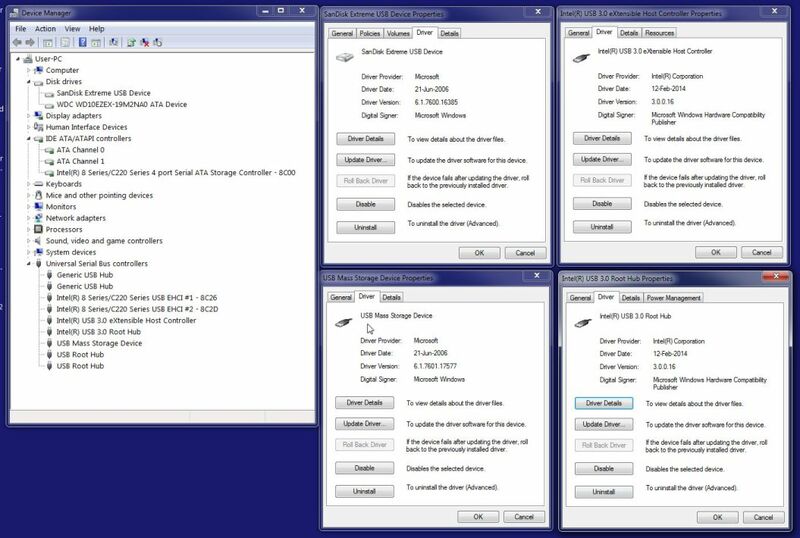 Device Manager -> Disk Drives -> SanDisk Extreme shows it is using a Microsoft driver dates 2006. Windows 7 SP1 64 bit. The disk.sys (and partmgr.sys)? It is normal they are the "disk" drivers all your system uses on any disk-like device. Open device manger, change view per connection. Search the USB stick. 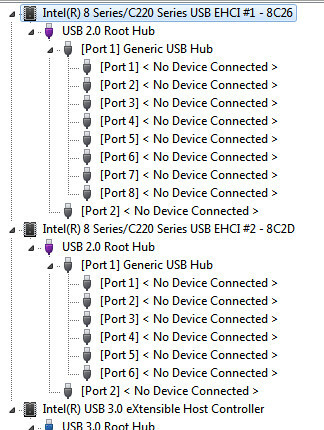 View the referenced USB hub controller. OK, thanks. 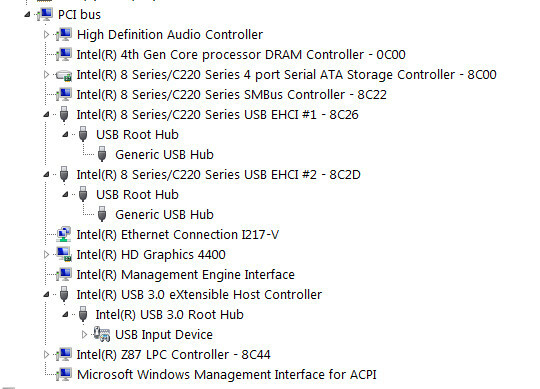 So the "USB 3.0 drivers" are for the (Intel) Root Hub & eXtensible Host Controller. I'm pretty sure the mouse is connected to a USB 2.0 port. 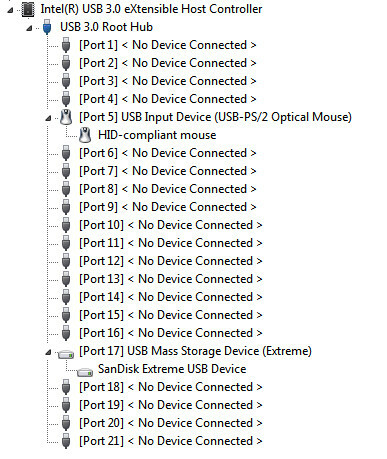 Yet Device Manager shows it at the USB 3.0 Root Hub ? 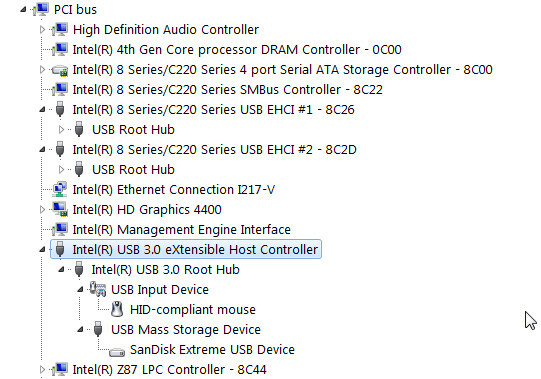 So the "USB 3.0 drivers" are for the (Intel) Root Hub & eXtensible Host Controller. 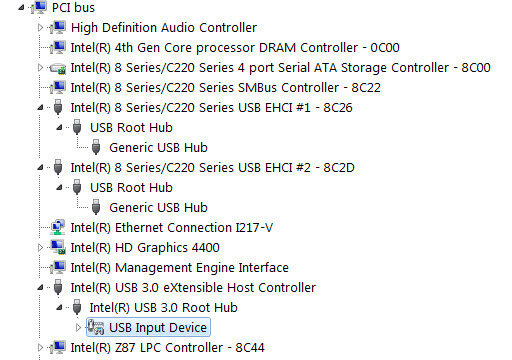 Yes, Intel USB 3 drivers are connected to the USB stick. 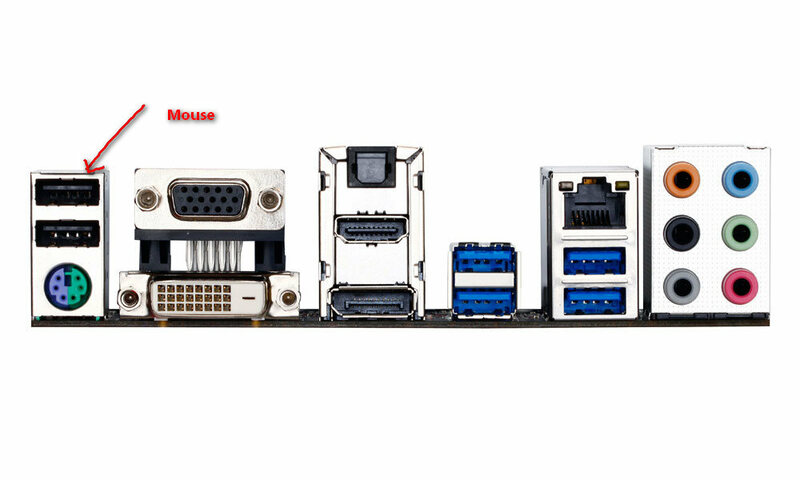 Which hardware do you use? Which port do you use? The connector your arrow is pointing is USB 2.0, there is no mistaking it. No matter what the software says. All USB 3.0 connectors have the inside plastic guide in blue. That one hasn't, so there's no way it could be a USB 3.0 one.